I need some help. lol I remember seeing it but Im looking for the guide about installing a Mikuni triple fuel pump. I remember seeing someone telling how to do it and I had to adjust something and what not but now I cant find it. not exactly what you were looking for, but post 2 has a diagram thats very helpful, and post 3 has a pic of the carb rack to help you out. let me know if you need to know anything else! Thanks ph2. 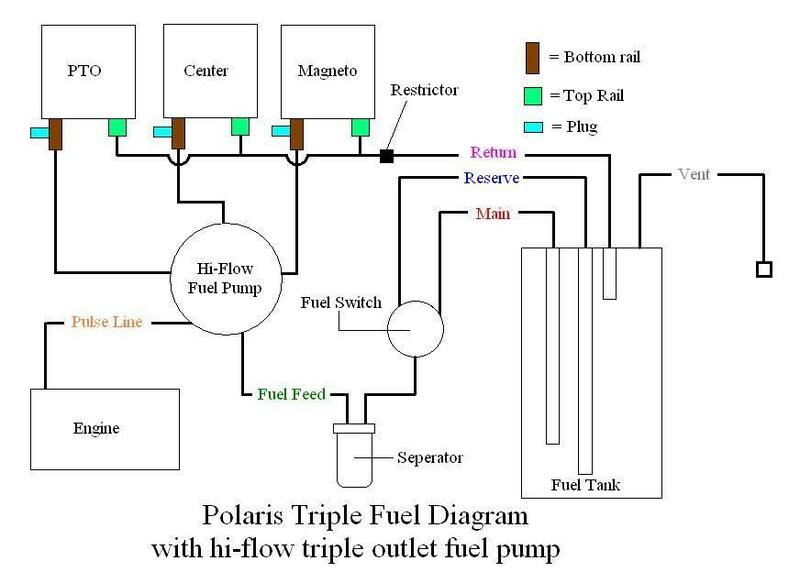 I found that but I thought I had read somehting else that stated I need to make and adjustment to something else for the additional fuel flow. Am I wrong or was I reading somehting else? Ron go but the diagram if you are also switching to premix than open up the high speed screws 1/8 turn. Thanks for clearing that up beerdart. I remember what I had read said something about 1/8. So i got things crossed. lol. With all the4 good knowlege here it not hard. I will be going premix soon. You guys probably already know this, but Polaris says to open up the high speeds an additional 1/8 when running fuel containing 10% ethanol.